With a Rinnai split system air-conditioning unit for just $1050, supplied and installed. The 2.5kW Rinnai G Series split system offers the latest in cooling technology. With Wi-Fi control, you are in complete control of your room temperature via an app on your smart device – giving you flexibility to suit your busy lifestyle. All Rinnai G Series split systems feature high performing inverter technology with quality engineering and components, ensuring you can relax in comfort this summer. 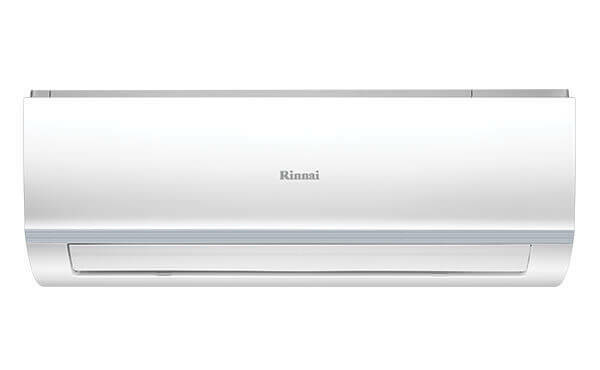 Our special offer is to supply and install a Rinnai 2.5kW split system air conditioning unit for just $1,050. That includes all electricals. (We have electricians on staff.) This is for a back-to-back installation. This offer is only while stocks last. With a hot summer coming soon we’re sure this will be a hot offer, so please enquire now.